Let us show how to smarten up your workplace. 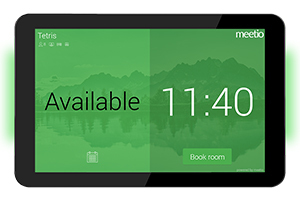 Booking and managing your meeting rooms and office spaces shouldn't be a hassle – it should just work! 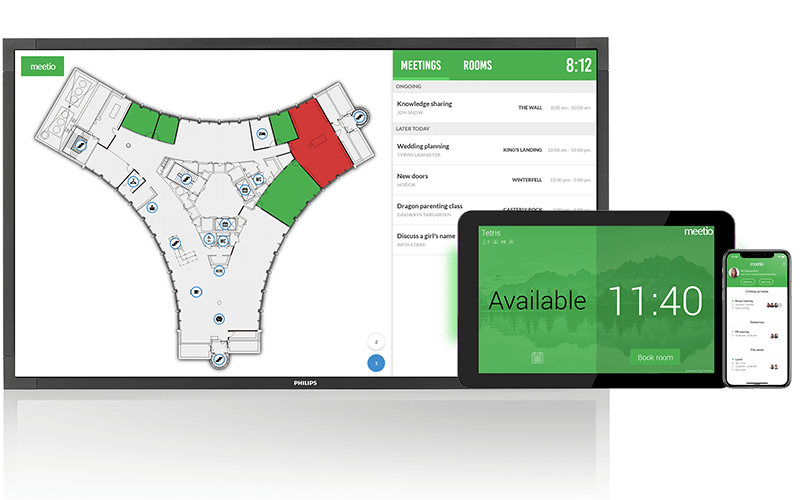 Whether you need room displays, overview screens, a mobile scheduling app – or a combination of them, we got the solutions for your workplace to make it as smart and efficient as possible. Schedule your free demo now and let us show you the Meetio solutions in action! 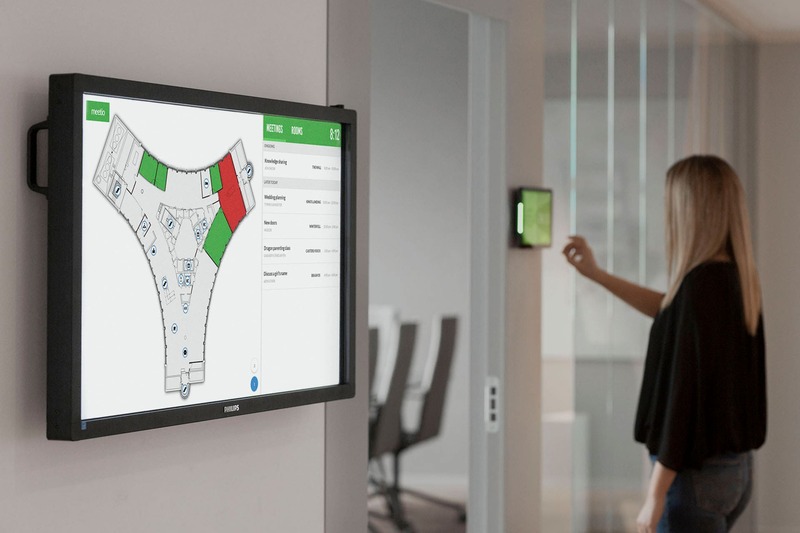 Meeting room management made easy. 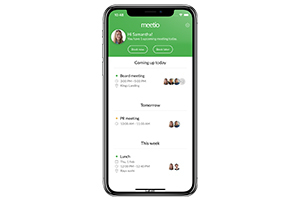 Bridge the gap between your digital calendar and physical workplace. 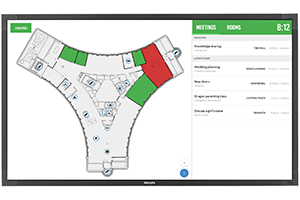 Your entire office overview in one interactive display. Get full control of what's going on in your office. Instant access to all your meeting rooms and resources, wherever you are.